I have got this code for adding two matrices using the overloaded '+' operator. But my program has some error. But I am not being able to find any of those. 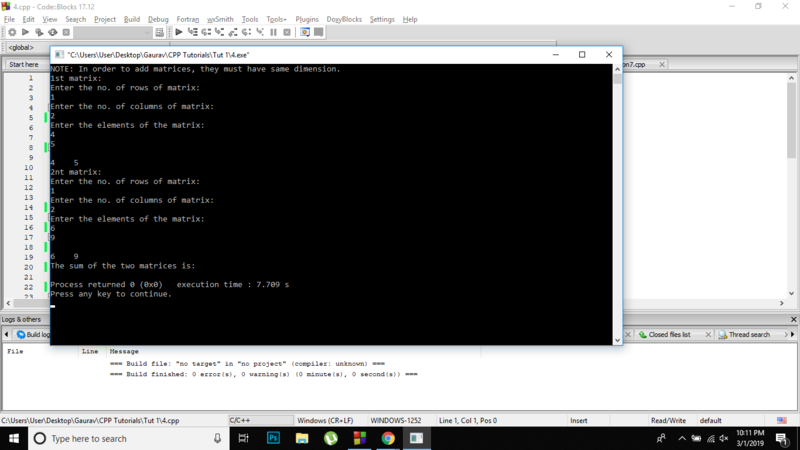 I am supposed to get two matrices from the user and then show the sum of these two matrices by using the overloading feature of C++. I have no problems in getting the input from the user and displaying each of those matrices individually. But once the overloading function is called, the code fails. I don't know where actually. Your error is that you did not set the values of r and c of the returned object in the operator+ function. Not the answer you're looking for? Browse other questions tagged c++ matrix operator-overloading or ask your own question.